Coronary artery disease (CAD) is a multifaceted disease that demands various approaches in terms of diagnosis and treatment options. Devices for the diagnosis and treatment of CAD can be of high volume and low cost or of a relatively low volume and high cost. 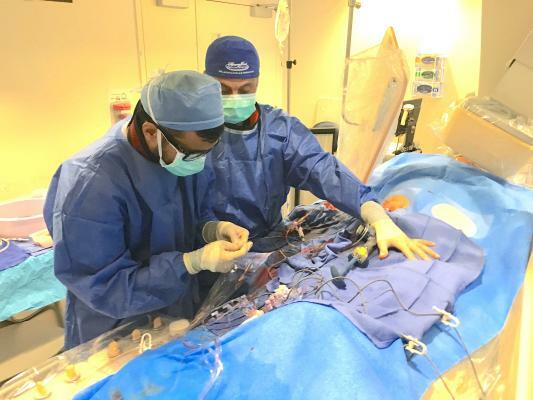 The U.S. interventional cardiology market, worth over $2.8 billion, is currently being influenced by changes in interventional and diagnostic procedures, as well as technological innovation and consolidation. Growth of the interventional cardiology market is highly correlated to annual fluctuations in two procedure types — diagnostic angiography and percutaneous coronary intervention (PCI). These procedures have recently experienced a turnaround, from decline to growth, over the past few years. Although relatively new computerized diagnostic techniques, such as intravascular ultrasound (IVUS) and optical coherence tomography (OCT), provide a more detailed visual assessment of coronary arteries, angiography remains the gold standard for diagnostic coronary procedures and will continue to be used for the detection of CAD for the foreseeable future. As a result, associated device markets, such as diagnostic catheters and diagnostic guidewires, will continue to grow. PCIs, also known as coronary angioplasties, are one of the main treatment options for CAD and typically involve the use of a coronary balloon catheter and a coronary stent. With the volume of PCI procedures in the United States estimated at more than 950,000 per year and rising, there will be positive growth in many associated device markets, such as interventional catheters, interventional guidewires and various other devices used per procedure. This is good news, considering that PCI procedure volumes, as well as coronary balloon and stent sales, have experienced substantial declines for several years following multiple clinical studies that presented evidence of over-stenting. However, procedure volume has recently stabilized, and growth is expected to continue, due to the emergence of a new area of opportunity — complex PCI cases. An increased focus on complex PCI patients will drive continued growth in total PCI procedures. Furthermore, the development of specialized devices and treatment techniques for patients that would otherwise be treated with coronary artery bypass graft (CABG) surgery, or be medically managed, is also pushing the market forward. Examples of such specialized devices include specialty balloon catheters and atherectomy devices. A particular area that manufacturers and physicians believe is not being fully addressed by interventional techniques is the complex and higher-risk indicated patient (CHIP) population. A CHIP case is typically defined as a patient that has both complex CAD and a left ventricular ejection fraction (LVEF) of 35 percent or lower. For the purpose of this study, complex CAD is defined as having one or more of the following: Chronic total occlusion (CTO), sub-total occlusion, bifurcation, multi-vessel disease (MVD), in-stent restenosis (ISR) and left main disease. Continued advancement within this area will drive growth of segments such as CTO catheters, atherectomy devices, cutting balloons, scoring balloons and embolic protection devices. IVUS and OCT are diagnostic imaging technologies that will also benefit from progress in the complex PCI space. This article was originally published on DAIC, to read more please visit https://www.dicardiology.com/article/pci-procedure-volume-recovers-new-focus-complex-pci-us-interventional-cardiology-market. More research on angioplasty procedure volumes can be found in the full report suite, titled U.S. Market Report Suite for Interventional Cardiology Devices 2018 – MedSuite, which provides a comprehensive report on units sold, market values, average selling prices, procedure volumes and forecasts, as well as detailed competitive market shares and analysis of all major competitors. This suite of reports include segments for coronary stents, coronary balloon catheters, balloon-inflation devices, interventional coronary catheters, interventional coronary guidewires, coronary embolic protection devices, coronary atherectomy devices, coronary thrombectomy devices, chronic total occlusion systems, introducer sheaths, coronary vascular closure devices, diagnostic coronary catheters and guidewires, intravascular ultrasound (IVUS) and optical coherence tomography (OCT).